A rather interesting map in that it can be played either with or without dukeplus. 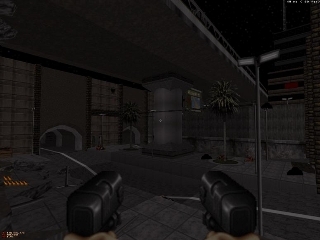 Without dukeplus the map has a nice even flow and the balance between health, weapons/ammo, and aliens is pretty even, but the ending is rather easy and anti-climatic. With dukeplus, the power shifts ever so slightly in favor of the aliens. 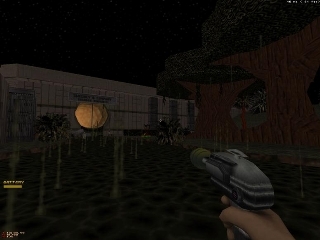 Duke's arsenal is boosted, but so are the aliens attacks. The differentiating factor is the limited amount of health. When Duke's actions spawn enemies and ammunition, but not health, there's no way to recover from the amounts of damage that's been inflicted on you by those stronger enemies unless you survive to progress into the next section and get healed there. So a little extra precaution should be taken by the player that wants to go cavalier across the map. Another odd feature is the realistic running. You start off moving so slow you may think you're going backwards. The problem with this feature is it's hard to dodge rockets from commanders. Note: If you see a commander, put a book on the arrow key, go get yourself a soda, by the time you come back Duke should be up to speed and if your lucky you were only hit by three rockets instead of five. The trade off for using dukeplus is that the ending of the map is much more exciting and fun. The map itself is a great piece of work. 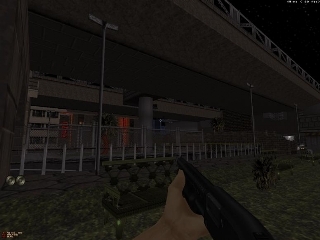 A night time city map broken into four main sections with gameplay divided between some indoor locations and most of the action taking place in outdoor areas. Almost nothing in this map looks dull. The architecture is solid and there's plenty of background structuring to give the map depth. The creative use of textures, the fine details, and some wonderful sector and sprite constructions give the map a vibrant feel. It's like looking at a lit up city at night through a kaleidoscope. In addition, the terminator styled music and other sound effects along with some nice sector effects and dim atmosphere make it seem as if a futuristic cyborg with jack the ripper in its pocket could be lurking right around the next corner. The map also has neat little features placed here and there; such as a working microscope. Some of the indoor areas can feel a bit cramped due to all the "stuff" jammed into them, but the majority of the combat takes place outside so it isn't too much of a hindrance. The way the map is laid out almost seems like controlled chaos. First you're going one way, then your forking off in a different direction, then back again just to take another fork. A slightly tedious blue key card fetch and return puzzle also slows the game down a bit. Getting lost or turned around isn't an issue, but you may feel like no progress is being made when you might actually be halfway through the map. Overall its a great looking map with only a few minor hiccups in game play and design. Well worth a look. DUKE NUKEM FOREVER IS NEITHER MADE BY OR SUPPORTED BY 3D REALMS. and Build geek, mapping since 2008.
support and feedback, thank u so much guys!!!!!!!!!!! barmusic: a song from David Lynch�s film "Mullholland Drive"
anyway about 65% is totally new. Known Bugs/Problems    : If u find any, please post ur comment on the forums. "is-not-for-noobs" for music and sound editing. OR SPRITEWORK OF THIS MAP. 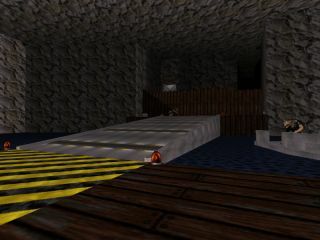 Installation           : Extract the voc files and dethtoll in ur Duke3D dir. The map looks better on classic instead HRP. Page generated in 1.6837 seconds.